Ramita Navai is no stranger to dangerous reporting trips. In 2011, the British-Iranian journalist went undercover in Syria for FRONTLINE as the conflict there was beginning to spiral out of control — and ended up trapped in a safe house with three opposition activists on the Assad government’s most wanted list. Navai has reported from more than 30 countries, but what she saw on the ground when she traveled to Iraq last year to film the new documentary Iraq Uncovered was a shock even to her. So, too, were the alleged perpetrators of that violence. As Iraq Uncovered explores, ISIS doesn’t have a monopoly on terror in Iraq. In fact, some of the Shia militia forces that have been so crucial in battling ISIS have themselves been accused of atrocities — including kidnapping, imprisoning, torturing and killing Sunni men and boys. To find out how these militias are really operating, Navai spent nearly eight weeks inside Iraq between August and December 2016. She traveled to places few journalists go, investigating allegations of abuse of Sunni Muslims by militias in areas where ISIS has been pushed out — even going undercover in the province of Diyala, where two journalists investigating the militias had previously been murdered. On March 16, FRONTLINE spoke with Navai about her time on the ground filming Iraq Uncovered. Here’s what she had to say. You made several reporting trips inside Iraq for this film, correct? Yes. Originally, it was a six-week trip, and it was really interesting how the story progressed. Pretty early on, we realized that actually the story was not about the war against ISIS — it was what was happening out of view. ISIS was providing a smoke screen, and our story was what was happening behind this, which was the Shia militias. The more we started digging, the more we scratched the surface, we realized that there’s this network of secret prisons and that’s the story we realized had to be told. In the film, you report that there are about 40 Shia militias in Iraq with about 100,000 fighters. How important have these militias been in the fight against ISIS? It’s important to remember that the Shia militias, for many, are absolute heroes. You have to give them their dues. If it wasn’t for the Shia militias, ISIS would have overrun Baghdad, and that’s not being overdramatic. It was really thanks to the Shia militias that ISIS was pushed back to the extent that they were. That’s what makes this story so difficult and tricky: because the Shia militia for many have become absolute heroes, many people are willing to sweep under the carpet the other stuff they’re doing. I think that what is very clear is that the militias are incredibly powerful, some of them are backed by Iran and that they have strong links to government. A very good government contact — a Western diplomat — drew a diagram for me trying to explain the Shia militia and their leadership, and where America sits, and where Britain sits, and who the leaders are, who they answer to, and the diagram looked like a drunken spider had spun a web. The militias are supposed to answer directly to Iraqi Prime Minister Haider al-Abadi. But in practice, you found something very different, right? Exactly. The prime minister actually has limited power over the Shia militia — this is what we’ve been told, and you can see this playing out in the film. Some militias, like the Hezbollah Brigades — they’re one of the most secretive militias — nobody really knows who leads them. On top of that, you speak to people in the government in Iraq — we’re talking about powerful people — who are petrified of the militia and of the power that they wield. And they are petrified of speaking out against them. People were so brave to talk to us. We talked to so many people who had spoken out against the militias and had received death threats and were genuinely scared for their lives. We spoke to a few [members of parliament] who, not only had ISIS tried to kill them, but the militias had also tried to kill them. Then, there was a case of two journalists who were investigating what the Shia militias were doing in a town called Muqdadiyah in Diyala province. They were with an Iraqi army general. While they were with him, they were intercepted by men in armed uniform — the Iraqi general says that they were Shia militias who took these two journalists away. They were murdered, and their footage destroyed. And yet, we see you making your own incredibly dangerous, undercover journey inside Diyala. 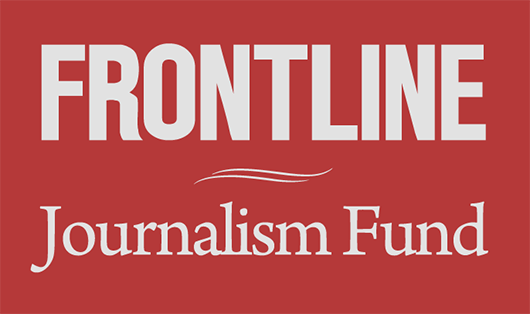 Knowing what had happened to other journalists, what made you decide to take that risk — and how did you protect yourself? Diyala was so important to our story because it was the one place that everybody said, “This is a militia state. If you want a glimpse at the future of Iraq, look at Diyala.” This is like the wild west of Iraq. This is where the militia are acting as gangs, with impunity. They’ve infiltrated the federal police, they’re kidnapping for ransom, they’re killing. We heard so many accounts of what they’re doing in Diyala, we realized this was a place that we absolutely had to go into. And it was one of those places that, when we told Iraqis we wanted to go there, we watched their reaction and they kind of winced. What was really so powerful for me about going into Diyala was that I was taken in by Shias — Shias who were so appalled and upset at what was happening to their Sunni neighbors by Shia militias. And that’s really quite unusual, to get Shias speaking out about the militias. As you can imagine, Iraq has become a quite fiercely sectarian place, but Diyala has always been historically quite mixed. It really said a lot that there were Shias speaking out. It took us really a long time to build up our contacts in Diyala, to find an insider. That was what we needed: somebody from the inside telling us what was happening. And that’s what we found when we went into Diyala. Not only did we have Shia guides taking us around, they introduced us to Shia militiamen. How long were you on the ground inside Diyala? We took a few trips. We’d go in the morning, and we’d get out by sunset. Locals did not feel safe right about sunset time. You know, you’d drive through Diyala and you’d hear gunshots, you’d hear bursts of fire, and you realize that this is life in Diyala. We passed through a village and there were tribes shelling each other. Normally when you do this job and you’re in these positions, when you start to feel a little bit nervous is when your guides are nervous. Definitely, the Shia militiaman we were with was very nervous about what we were doing, and he was very scared of getting caught. But he felt strongly enough that he needed to tell us that he believed that what they were doing was wrong. He couldn’t believe in it any more. And I must say, we also went on embeds with militiamen to the front line, with guys who were fighting ISIS. I think it’s important to say that they’re not all “bad guys.” There are some great, ordinary guys who are extremely brave and who answered the call that their religious leader, Ali al-Sistani, made in 2014, to fight ISIS. And they really believe they’re fighting ISIS not just for Shias, but for Sunnis as well. It’s really amazing, the diversity of voices you were able to capture — from family members of men and boys who were killed by the militias, to survivors of the militia prisons who sit down with you. But then also on the other side, speaking with some of the militia men and leaders who say they’re just trying to protect their country from terrorism. What was your approach to finding people who were willing to share their stories with you? There were three of us on the ground. It was me, our director Patrick Wells, and our Iraqi fixer, producer Mais al-Bayaa. It’s a small, tight team, and it’s Iraq — you have to have lots of cups of tea. You have to talk to people, and look them in the whites of the eyes and bond with them. That’s how you build up trust. It was much harder to get people to talk against the militias. People really, really fear for their lives. Certainly, people who’ve been victims of the militias, who’ve been warned, “If you ever talk about what has happened to you, we will track you down and kill you” — I saw terror in people’s eyes. So building up trust took time, and assuring people that we would keep them anonymous, use blurs, disguise their voices. And in Iraq, as well as much of the Middle East, if you come through a trusted network, there’s automatically a trust and a bond. It’s all introductions … you kind of get passed along a chain of people that are trusted, and you have to be very careful. We were extremely careful with keeping people safe. We’d never email anybody, we wouldn’t have people’s details on our phones, and when we filmed these people, we were very careful to not have their faces on camera, ever. One theme that emerges in the film is that even though ISIS has lost ground in Iraq, some ordinary Iraqis are as scared of the Shia militias as they are of ISIS. Did that surprise you? 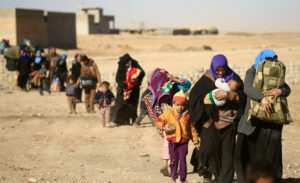 I don’t think everybody is as scared of the militias as they are of ISIS — that was in a refugee camp where people had been tortured by the militias. But certainly, those who have suffered at the militias’ hands are as scared. And no, I certainly was not prepared for that. I was not prepared for the level of killing that’s going on. The level of torture and kidnapping was astounding. In the film, it’s jarring to see up close the tactics of some Shia militias, separating Sunni men and boys from their families and detaining them indefinitely. Can you tell me a little bit more about why Shia militia fighters tend to view Sunnis as potential ISIS members, and what you observed about the processes that the militias use to determine who is an ISIS member? On one hand, I’ve been at checkpoints — and they haven’t necessarily been Shia militia check points, they’ve been Iraqi army checkpoints — and we had a suicide car bomb hurdling towards us. So, when you’re at checkpoints, whether they’re militia or army, it’s a dangerous place, ISIS launches attacks, and these people are at risk. So, you totally can understand why militia and the army feel nervous about anybody who is coming from ISIS territory, because we also know that ISIS fighters have been hiding among refugees. But what’s been happening is that entire Sunni populations and villages and towns have been punished for a few bad eggs. And to an extent, when we watch the screening process, many Sunnis themselves understand the screening process, they get it. However, it’s not so much the screening process — it’s that many innocent Sunni civilians are being punished for extremism and for ISIS’s crimes. They’re being detained, there’s no judicial process, they’re being illegally detained. You know, the secret prison we went to — the militia was happy to show it to us because the guys there had not been tortured. However, they very openly told us that the guys had been held there for three months. This is illegal. And of course, it doesn’t matter how old you are — there were children in the prison as well. You talk to militia leaders, and they justify this to an extent — they say this is a war and we’re threatened. But basically, it’s pretty lawless, and anything goes. As far as embedding with different militias themselves — were you surprised when one of the leaders acknowledged that Iran was supplying his fighters with support? We know Iran provides technical support and training to some militias. But it’s really unusual to have militia leaders admit this. So, yeah, it was quite an extraordinary moment. They’re very sensitive about Iran’s involvement in Iraq, and to have him say that — and to have him admit that his men are also fighting in Syria — was also pretty unusual. I thought what was really interesting about that was that it showed you the regional ambitions of these militia. There are militias who have a bigger vision than Iraq — they see themselves as protecting Shia interests within the region, and that’s where Iran really comes into play, because Iran of course wants to be the region’s super power. That’s kind of the next level, these Shia militia that want to become guardians of Shia rights within the whole region. Looking forward, what do you think happens to Iraq after ISIS is potentially pushed out? I came away fearing that it’s a tinder box. I came away fearing another Sunni insurgency. What really needs to happen, which started to happen during the awakening campaign, is that Sunnis really need to be given a stake in the future of Iraq. They were promised this as part of the awakening campaign. And the Americans came on board and promised them this, and we have all failed them. I think the implications of this are huge. Sunnis do not feel that they have a piece of the political pie, which is what they were promised. We have seen historically what happens when Sunnis feel disenfranchised and disempowered — that there is an insurgency. And in the film, we hear Iraqi Vice President Ayad Allawi warn about the possibility of an even worse ISIS if all of this isn’t addressed. Yes. We spoke to many people who fear another Sunni insurgency, and really ISIS, the formation of ISIS from Al Qaeda — you can trace this back to Sunni disenfranchisement. That’s how ISIS managed to shore up popular support at first. Of course, ISIS obviously lost most of that support through the horrific things they were doing. But certainly, they did have support at the beginning, because Sunnis feel isolated and disenfranchised. I think that’s vital to understand, not just for Iraq but for the whole region. And I think also that the war has allowed not just Shias but all groups — Kurds as well — to grab this opportunity, to expand territorially, to gain power and advance their own interests. What do you hope that viewers of Iraq Uncovered will come away with? Well, we feel in the West that we are under threat of terrorism, whereas actually, we’re not the ones on the front lines. The victims of ISIS are mostly Muslims. They’re Iraqis themselves. We have this idea in the West, we think, “All of these Middle Easterners, all of these Muslims, are trying to get to America.” But they just want to live in peace in their own land. Nobody wants to leave their homeland. I’ve been in refugee camps and people weren’t saying, “I want to get to England, I want to get to America.” They were just saying, “I want to go home. I want to go to my village. I want to go to my town.” And when people do make that terrible journey, you don’t know how desperate they are at that point. It’s an expensive journey to make, and it’s a dangerous journey to make. People do not want to make that journey. They just want to go home. Do you plan to continue reporting on Iraq and the evolution of the power of the Shia militias? Iraq is one of the most fascinating countries I’ve reported from. It’s totally gotten under my skin. And just when you think you understand it, you realize there’s another layer. There’s more complexity than you could ever imagine. I think I will be obsessed with Iraq for a very long time to come.